Effervescent Libby Tyler thought she had a perfect life. For four years, she had been in love with Ryan Spangler, living with him, sharing his life, and mothering his two young children. Libby thought she and Ryan were forever until one day Ryan told her they were over. She didn’t find out until months later that he had been cheating on her with his ex-wife. Rage over her blindness and Ryan’s betrayal caused her to lose control and attack Ryan’s prized pickup with a golf club. Broken truck windows and a furious Ryan were not the only result of her rampage. Libby ended up at Mountain View Behavioral Health Center for a week of “rest.” When she returns to Pine River, she is the subject of town gossip and the object of family concern. Ryan has a restraining order against her. She is not allowed within three hundred feet of Ryan and his family, which means that she can’t see the children, a restriction that she has great difficulty observing. Sam Winters knows what it’s like to return to Pine River after your life has spun out of control. Back in the day when he and Libby Tyler worked together in the sheriff’s county headquarters, Sam was a man with a wife, a job, and a future, on track to becoming sheriff, but alcoholism ended that life. Sam came back to Pine River after three months at a treatment facility in Denver and another six months in a halfway house. His marriage was over, and Sam considered himself lucky to have a job as a rural deputy sheriff in Pine River. It’s the job he still has after two years of sobriety, and part of his job is to enforce the restraining order that Libby Tyler seems determined to disobey. For a man committed to fixing a lot of broken people and holding on to his sobriety one difficult day at a time, Sam is spending way too much time trying to see that Libby stays out of trouble. 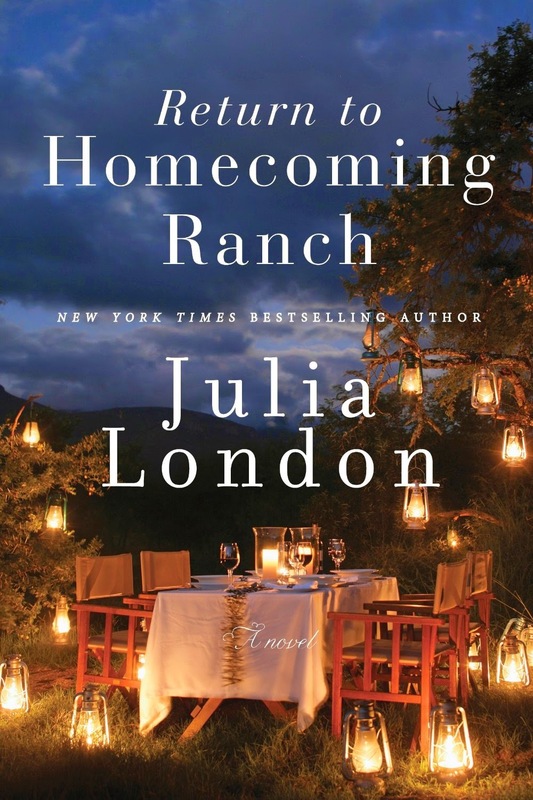 With everything else in her life gone, Libby focuses on turning Homecoming Ranch into an event destination, but things are not going well on that front either. Just when Libby reaches a new low, she and Sam are snowed in at his cabin. The attraction that has simmered between them and flared briefly with some kisses they both agree should never have happened reaches fire point when they are trapped in Sam’s cabin. But Libby and Sam are both bound by their pasts: Libby can’t accept the new reality that has replaced her happy family fantasy, and Sam’s fear that emotional complications will cause him to lose his sobriety won’t allow him to take the risks that come with any relationship. They can’t find happiness together until they find freedom separately. The second book in London’s Pine River series has the emotional power and layered characters that her readers expect. Libby and Sam are flawed characters who are sympathetic even at their most wrong-headed moments because London allows her readers to see why the characters behave as they do. Choices and consequences are clearly linked. As with the first book, the setting is superb. Geographically and sociologically, Pine River feels like a real place rather than a painted backdrop. The combination of warm-hearted support and busybody gossip will ring true for most readers familiar with actual small-town life. Even the minor characters have a dimensionality that renders them credible and individual. Strangely, my one quibble is that Madeline Pruett and Luke Kendrick, the heroine and hero from the first book who also have roles in this one, don’t seem to do anything but interact with their siblings and bill and coo. I kept wondering what they were doing with their lives. Again, Leo Kendrick, Luke’s brother, a former football player with motor neuron disease, intermittently narrates chapters. Again, his humor and courage in the face of his continued physical disintegration mark him as a true hero even though he is not the romantic lead. If you like small-town romances with atypical elements, if you like romances with protagonists who are deeply human with all the flaws and complications that implies, or if you like romances that make you laugh and squeeze your heart, I recommend Return to Homecoming Ranch. It sounds v.g. I have the previous book on my tbr. I enjoyed this one too, and agree with you about the characters from the previous book. I really enjoy Julia London's books. Her characters and stories are always complex and well developed. I have not yet started this series, but will once the series is completed. Thank you for another informative review.